Get 20% OFF: Now only $55.20! WHO DOES THIS PROGRAM SUIT? 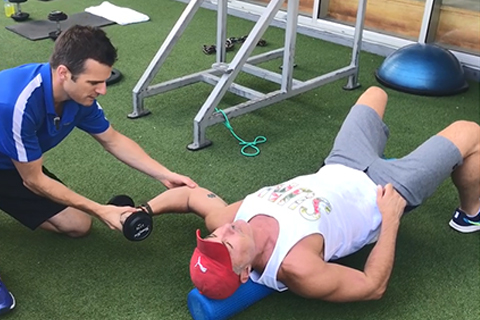 This 8 week program is a must for those looking for better shoulder mobility and movement, wanting to increase ROM in the shoulder joint and thoracic spine and improve scapulo-humeral movement using the most up-to-date and effective mobility exercises. 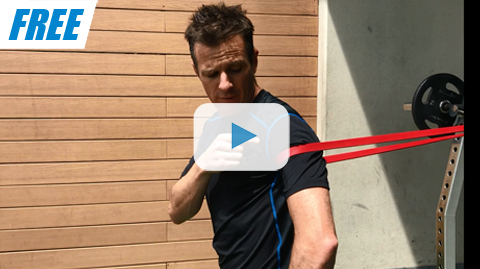 This program gives you the tools and instruction to improve and maintain overall thoracic and shoulder mobility in the short term AND in the long term. It is ideal for people who are struggling with tight or painful shoulders and upper back, who compete in upper body sport, have problems lifting and pressing overhead in the gym or workplace, or simply the weekend warrior who needs a structured program of correct mobility exercises to complement their training routine. This program works for both the type of person who is very tight, doesn't stretch much and has problems or dysfunctions from a lack of movement and mobility, AS WELL as the hypermobile type or acomplished yogi looking for a regular regime of quality clinical exercises to stick to. This program can also help assist the athlete, cross-fit, olympic or power-lifter wanting to improve their performance in training and sport. HOW IS THE PROGRAM SET OUT? This program, just like the other mobility programs uses a 3 stage layout, with set exercises for 3 weeks during the first 6 weeks and then a final 2 week stage. Throughout the program there is a prescribed and structured regime of progressive mobility exercises, which increase in level at each stage. The program has between 7-8 mobility exercises per day, covering joint mobilisation stretches, trigger point ball release, foam roller work and muscle stretching. The first set in each stage focuses on the mobility of thoracic spine region and the shoulder joint, and the second set on the soft tissue mobility, movement and neural tension of the shoulder. As with all programs you can choose to follow each stage and progress as instructed, or take it more slowly through the program as needed. Have no pain referral into the shoulder, back or arm(s), no pins and needles (parathesiae) in the arms or hand(s), and no numbness (anaesthesiae) in the upper limb(s).